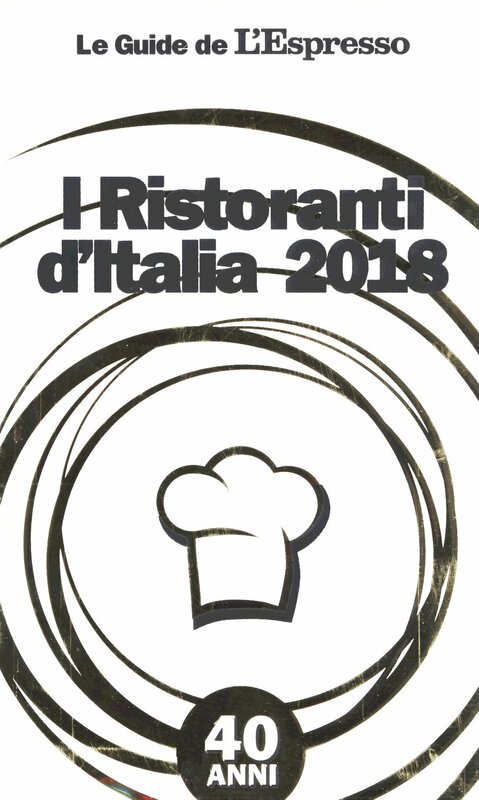 A few months ago, one of the most recent delegations of the prominent Accademia Italiana della Cucina, founded in Rovereto in 2017, sponsored an interesting convention for those who wish to understand a little bit better how the quality of eating places is evaluated by renown guides such as Michelin, Touring Club Italia, Guide dell’ Espresso, Guida Ristoranti d’ Italia del Gambero Rosso and Guida Le Osterie d’ Italia. To evaluate whether a place is worthy to be visited and considered a good eating establishment, the Accademia founded in 1953 in Milan, Lombardy, suggested at the convention in Rovereto that there are about 5 good guides which can help those of us who enjoy sampling Italian cuisine at its best in the various regions of the peninsula. 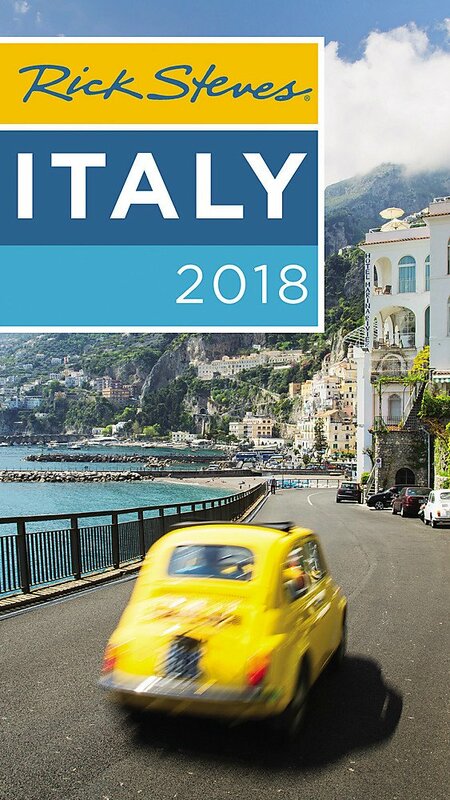 I personally added to these 5, American Rick Steves’ guide to Italy with foldout maps and many tips for those visitors who wish to know more than where and what to eat and drink. Ristorante: a somewhat pricey formal eating place, with full table service (usually white table cloth), waiting staff, including a sommelier (wine expert) who advises on wines based on the choice of dishes on the menu prepared by a chef who knows what he is doing. OPEN from Tuesday to Sunday from noon to 2 PM and from 7:30 PM to 9:45 PM – Closed on Monday and Sunday evening. From the old but handsomely restored city hall of Rovereto in Piazza Podesta, six minutes away towards the Vallarsa Valley on the provincial road which over a mountainous pass leads to the city of Vicenza is the Ristorante San Colombano. Located between Rovereto’s Castle and the small hermit chapel of San Colombano, the restaurant run by the Venco family was opened 27 years ago. The same family had run a one star Michelin restaurant in Rovereto, later moved up the road toward the narrow valley of Vallarsa, and finally decided to settle where San Colombano Restaurant is today. A cuisine which combines creativity with local specialties such as: the Timballo of eggplants in a tomato coulis; bite size crepes covered with a cheese sauce called Delizie; appetizers with Salmerino, a cold water trout and salmerino fish eggs; seasonal venison stews, and well known sweets such as Tiramisu, Creme Brule, or their chocolate cupcake type of dessert filled with a warm heart of melted chocolate. Red and wine proposed at the San Colombano Restaurant reflect the local and regional wine production, including, for those who would like to try a very well balanced white Mueller Thurgau wine which is produced in the nearby Vallarsa by the Vivallis winery. Trattoria: a less formal, usually family run eating place, often with regionally typical dishes which are prepared with local ingredients; a trattoria has often a “vino della casa” which comes either red or white. Casual table service with either table mats or table cloths which usually are not white. A third generation family run trattoria where Christian is the cook, and Michele is the “barista” and where local specialties are served such as: fanzelto stuffed with soppressa, asiago cheese, cabbage and yogurt; home made bigoli pasta with Garda Lake sardines; strangolapreti dumplings topped with melted butter, sage and grana cheese; probusti sausages with sourkraut and roasted potatoes; grilled horse meat and mixed vegetables; savory and sweet fortaias or huge sandwiches or desserts such as Tiramisu. Very reasonable prices and large portions. A type of buckwheat tortilla made from air dried milled buckwheat kernels and water, seasoned with salt, and parched on a flat griddle brushed with lard. It is a traditional specialty from the Terragnolo Valley where due to climatic conditions wheat is hard to grow. It is served either in sections instead of bread, or filled with soppressa, cheese, cabbage, or surrounded by cooked ham and fresh sliced cabbage. It is gluten free specialty dating back to when the region did not have great quantities of wheat and the inhabitants of the Terragnolo Valley were poor and could not afford better bread. It is especially recommended for those who suffer from celiac disease. Another regional specialty included in Cristian’s menu are the fortaias; either savory or sweet, filled with cold cuts, or jams, or Nutella and folded in half or like triangles and if sweet dusted with confectioners’ sugar. For this fortaia you will need a flat cast iron griddle. Of Austrian Tirolean origin, this specialty could be described as a cross between a French crepe and an American pancake. Christian’s savory fortaia is filled with bologna, gorgonzola cheese, radicchio and sausage while his sweet fortaias are filled with either jam or Nutella. Whisk together all ingredients, pour the batter in a pitcher, cover and refrigerate for 2-3 hours. When you are ready to prepare the fortaias, heat a medium sized skillet, melt in it a little butter, and pour a ladle of the batter over the hot melted butter. Holding the skillet by the handle, try to distribute evenly throughout the pan the fortaia batter in order to have an even thin layer. Cook it until the underside is dry and golden brown; with a suitable spatula, turn the fortaia over and let it cook again until the other side is lightly browned. With the help of the spatula slide the fortaias on either one or more hot plates and keep them warm until you are ready to spread or fill them. Cook each fortaia as directed before and repeat the operation until all batter is used up. Then, stuff them or spread them; fold them in half like you would do with the pages when you close a book. Taverna: A place which is similar to a trattoria. Certain tavernas date back also to the Middle Ages when they offered food and place to stay overnight. Run by a “taverniere” who was usually a man was also a place where locals and travelers met and got together. More recently tavernas have become places where regional specialties from throughout Italy are offered. Although the above mentioned Trattoria and this Taverna are located across each other, the food they serve could not be more different. Matteo, chef and proprietor, comes from the southern Italian region of Basilicata and cooks the typical dishes of his region, while Christian the chef of the Trattoria presents specialties typical from the region of Trentino. Among the dishes prepared by Matteo Carlucci, who attended cooking school in Maratea are: paccheri and scialdelli pasta with rapini, sausage and crusco chile peppers, scottata di tonno (grilled tuna), tonnarello nero con seppie e piselli (black tuna with squid and peas) or chestnut pappardelle pasta dressed with mushroom sauce. Wines offered at the TAVERNA DEL COMANDANTE are Basilicata wines such as, the red Aglianico which is served also by the glass. WHAT ABOUT BASILICATA, ALSO KNOWN AS LUCANIA, CRUSCO CHILE PEPPER AND AGLIANICO DEL VULTURE WINE? The southern Italian region of Basilicata also known as Lucania is fairly arid with mountains nestled between the region of Campania and Apulia. Its regional capital is called Potenza but also the city of Matera is located in this region. Crusco chile peppers, which are mild, green when harvested, and dark red after being dried enhance the regional dishes over pasta or meat or fish. Best wine of the region is the AGLIANICO DEL VULTURE made from grapes grown since the 6th or 7th century when the Greeks brought the vine to that region. Along the slopes of the Vulture mountain of volcanic origin grow these Aglianico grapes which make a wonderfully full bodied but smooth deeply red wine called AGLIANICO DEL VULTURE. Tradition reports that the wine’s name originated from an Italian language distortion of the word Hellenico (transl. Greek). Besides the excellent DOC AGLIANICO DEL VULTURE there are also other local wines in this region made from this ancient grape and there are other wines made from Moscato or the Malvasia grape. Should you find a bottle of Italian Aglianico in the United States try it with a grilled flank steak or with curried lamb chops. Osteria was traditionally a wine bar run by an “oste” or “ostessa” which had local wines. Recently it has evolved in a place where wines are served together with fixed price meals which are prepared with typical foods of the region. Usually the fixed price meal includes espresso coffee and a glass of local wine. Enoteca, literally translated meaning “wine library,” is a place where many wines are on display and where wine is served and where occasionally wine tastings are offered together with tapa-like appetizers. Tavola Calda is a cafeteria type of eating place where there are two or three menu offerings which are displayed in a warm keeping system, which are not far from a salad bar from which to choose raw sliced prepared vegetables, and a refrigerated desserts tray tower. In this case, you the customer take the tray, the tableware wrapped in a paper pouch, pass in front of all the food possibilities, and choose the warm food served by the kitchen staff behind a counter or the cold offerings and move on to the cash register to pay your selection. Rosticceria or Girarrosto is a food shop where you can eat in or take out. Foods are good quality, often roasted, served by weight or by number of items. Pizzerias offer various types of pizza; sometimes small or large and sometimes by the slice. Piadineria are food places where piadinas are made on a large stone griddle and served with various stuffings; from squacquerone cheese to gorgonzola, from cooked to raw prosciutto, from arugola to tomatoes etc. An Italian piadina, originally from the region of Emilia Romagna, is a type of wheat tortilla which is is folded in half with the customer’s favorite filler either heated with the cheese oozing out, or simply cold the vegetarian way. A step further, for those who wish to know more about Italian cuisine, explained, discussed, and presented worldwide and in Italy, the Accademia Italiana della Cucina in Rovereto presented a gentleman called PAOLO MARCHI who every year offers a real life culinary experience called Identita’ Golose, where a group of gastronomy minded people bring together the very best of Italian and international cuisine. MICHELIN ITALY 2018 the new selection (English) – Created first by the French brothers Michellin who in 1889 opened a tire factory and wished to promote traveling by car leisurely with pleasure. The very first guides were free during a time when France had only about 2200 cars circulating throughout the country, with gasoline stations and car repair shops available only in certain selected places. In 1926 the guide focused on food. One, two, three stars were a sign of good, very good or excellent. Michelin inspectors evaluated for the guide’s customer whether a place was good, whether it was worthwhile including a visit to the restaurant while on route or whether the place was so superb as to make it worth traveling there just to enjoy the food served there. Michelin Italy focusing on Italian fine restaurants was published in 1956. Today several Michelin guides are available in English language; besides featuring 356 starred restaurants in Italy they guide to fine dining in New York, San Francisco and Chicago. GUIDA TOURING CLUB ALBERGHI E RISTORANTI D’ ITALIA or TURISMO GASTRONOMICO IN ITALIA (Italian) – Created by the Touring Club Italiano, this guide was originally targeted towards families and bike riders. Italian versions which remind us of the American AAA guides which evaluate hotels and restaurant for travelers. Dating back to 1914, after the “automobile” club had become already important for car drivers who relied on the club’s maps distributed since 1894 to more than 16,000 members this Club’s guides are available in book stores and through the Associazione del Touring Club. They focus on various regions of Italy but are unfortunately available only in Italian. 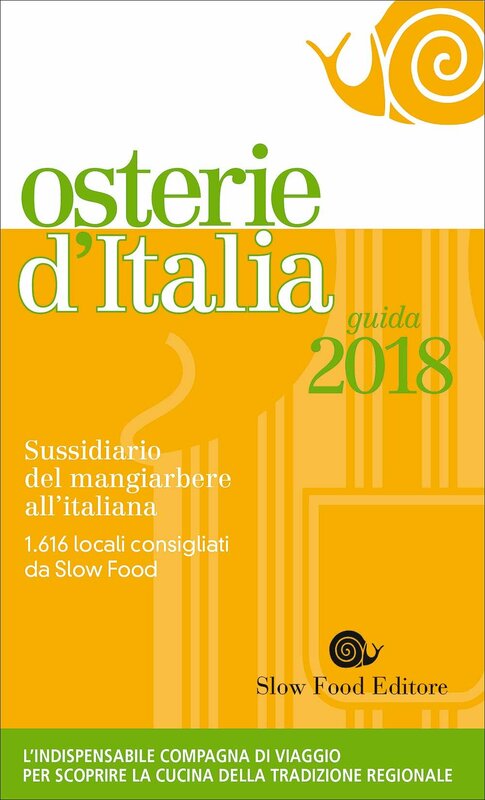 GUIDA RISTORANTI D’ITALIA AND VINI D’ ITALIA DEL GAMBERO ROSSO UPDATED TO 2018 (Italian) – Brain child of a 1980 Slow Food Manifesto group which included not only a Carlo Petrini, who became famous in 1980 for campaigning against the opening of a Mc Donald in Rome near the famous Spanish Steps, but also 1997 Nobel Price for Literature Dario Fo and poet and song writer Folco Portinari, self declared 1968 “drinking hippy, these guides are updated every year and promise to evaluate Italian restaurants which deserve being mentioned for good, clean and fair food. Available only in Italian. GUIDE DELL’ “ESPRESSO” (Italian)– Espresso is one of two most prominent weekly papers in Italy; with 40 years of experience the magazine has also printed a guide in which are listed restaurants, pizza places, wineries and enotecas, and food news from throughout Italy. Instead of awarding “forks” or stars this guide uses small hats; one hat means good food, two hats reflect good food with good ingredients and accurate preparation; three hats indicate a very good cuisine, four excellent and five a superb cuisine. The guide lists restaurants in order of names and in order of towns or locations based on a regional subdivision. 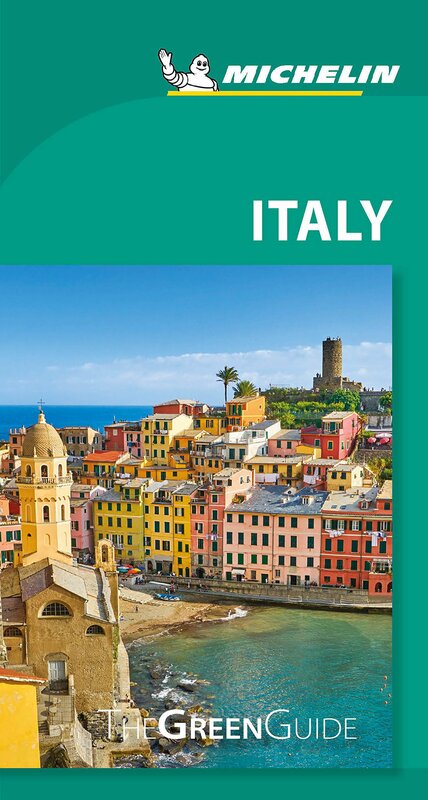 RICK STEVES’ ITALY UPDATED TO 2018 (English) – An American guide for Americans who wish to travel throughout Italy with TV personality Rick Stevens. It is a guide for those who wish to know more about Venice and the city’s country side; for those who plan to explore the region of the Dolomites, or Italy’s lakes; for those who visit Milan or dream of hiking around Cinque Terre or getting to know the Italian Riviera. It is a guide which introduces sightseeing in Pisa, Lucca, Siena, Assisi and throughout the near-by hilly towns or in Rome, Naples, Sorrento and in the island of Capri. It describes also Rome’s neighborhoods, how to deal and avoid problems, how and where to buy tickets, how to move around by train, bus, taxi, and bike and gives information on finding hotels and how expensive or not they are and on where to eat cheaply or less cheaply throughout Italy.